Charter a private flight to Geneva, Switzerland’s second most populous city and a global center for international diplomacy. Hiring a private jet into (LSGG, GVA) Geneva Airport (commonly known as Cointrin Airport) is the best way to get in and out of the city, and our team at Air Charter Advisors is here to offer the highest standards in executive and leisure travel. Our private aviation company offers on-demand private jet charter service to/from Geneva, and with access to thousands of private aircraft around the world, we’re confident we can arrange the right aircraft for your trip, whether flying internationally or domestically. Our private jet charter company is Wyvern-certified, and all of the aircraft we use for private charter flights to Geneva are operated by FAR Part 135 (or foreign equivalent) air carriers. Our growing list of distinguished clients includes royal family members, heads of state and C-level executives from major corporations; celebrities, personal assistants and leisure travelers from around the world. Enjoy the peace of mind you get from working with a jet charter broker you can trust, and we’ll be your local and global aviation solution for luxury air travel, aircraft acquisition and private jet management in Geneva, Switzerland. Call or request a quote for a private charter flight to Geneva. Our team is here to help you with all of your private aviation needs, from booking your private jet and creating its flight itinerary to arranging gourmet in-flight catering, luxury ground transportation or accommodating any other special requests – consider Geneva Jet Charter your one-stop shop for all things private aviation in Switzerland. Geneva Jet Charter has access to the following Wyvern-certified aircraft for your private flight. All of the aircraft we utilize for charter service are operated by FAR Part 135 or 121 (or foreign equivalent) air carriers, using only veteran pilots in the private jet you’re renting. Our Geneva Jet Charter team will provide you with a variety of aircraft options based on the goals and budget of your trip, allowing you to charter a cost-effective aircraft, or the most luxurious, stylish corporate jet on the market. Check out our Aircraft Gallery for more details on all of the aircraft available for your trip. The following are examples of hourly rates for private jet, turbo-prop and helicopter rentals to/from Geneva and surrounding areas. Geneva is one of the most popular destinations for private aviation in all of Europe, allowing many operators to offer empty leg charter flights, which may greatly reduce the cost of your trip. Book your private flight to Geneva (Genève), a Swiss canton surrounded by the Alps and Jura mountains, with dramatic views of Mont Blanc and incredible international diversity. It was originally settled by Celtic tribes until its capture by Romans in 121 BC. Caesar mentions the city in Latin texts, calling the town Genava, a toponym akin to the Ligurian coastal arch of Genoa by using its Celtic name “genawa“, meaning to bend at the knee in reference to a river or lake. The Middle Ages would go on to see it ruled by a count under the Holy Roman Empire until the late 14th century, when a charter granted it a high degree of self-governance, during which time the House of Savoy came into prominence. Savoy would go on to rule over the Geneva (in name anyway) until the Protestant Reformation during the early 16th century, when Savoy rule was overthrown and the city allied itself with the Swiss Confederacy. John Calvin, a French theologian and pastor, broke from the Roman Catholic Church to support the reformation movement in Geneva and throughout Europe. After uprisings in France, Calvin returned to Geneva in the middle of the 16th century to lead its church in what would go on to become known as Calvinism. 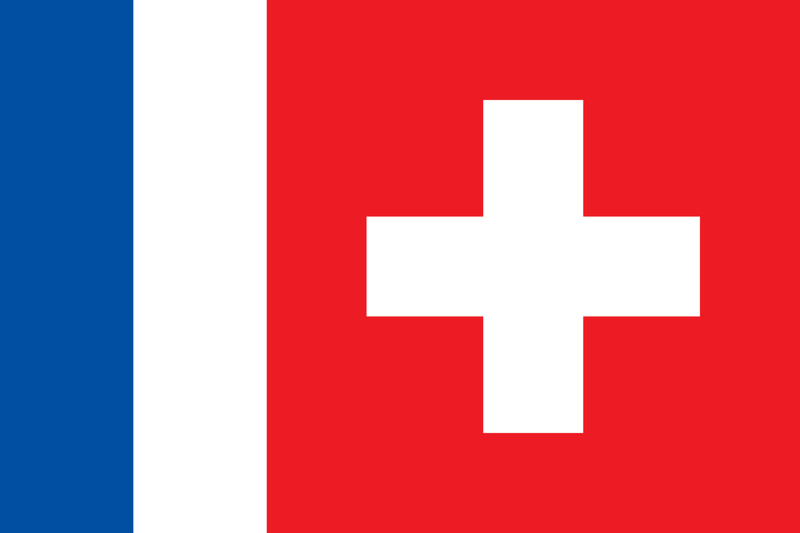 Geneva officially became a Swiss canton in 1813 following the end of the Napoleonic Wars, and the city, along with the rest of Switzerland, would flourish throughout following centuries. Geneva became the home for many important international institutions, hosting more than any other city in the world. 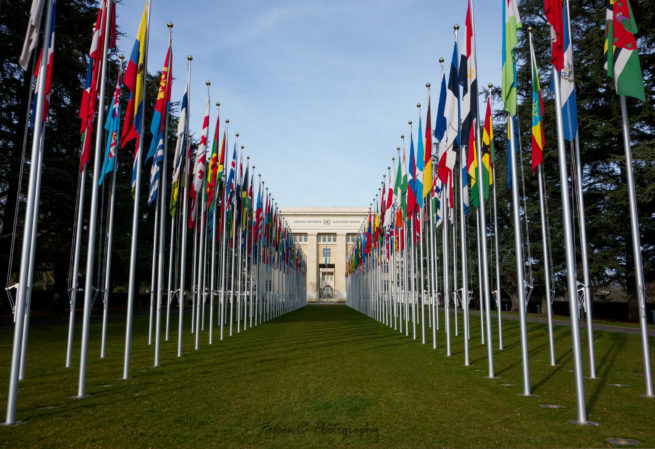 Many agencies for both the United Nations and the Red Cross are headquartered here, and four international treaties outlining humanitarian treatment during times of war are known as the Geneva Conventions. Geneva is a prosperous canton nestled along the eponymously named crescent-shaped lake, cutting through the Alps and jetting into France’s eastern border. Despite being close neighbors, they have a bit of a contentious history with the French. In 1602, the Duke of Savoy ( in what is now southeast France) launched a surprise attack against Geneva, only to have his forces thwarted. L’Escalade is the name of the annual festival celebrating their victory. Geneva is located in Romandy, the French-speaking part of Switzerland. Although you’ll hear a mix of European languages spoken throughout the country, the city’s official language is French, mostly due to its proximity. Switzerland even has its own romance language derived from Latin, Romansh, recognized as a national language in Switzerland since 1938. Despite only about 1% of the population speaking Romansh, it’s still classified as an official language alongside German, French and Italian. 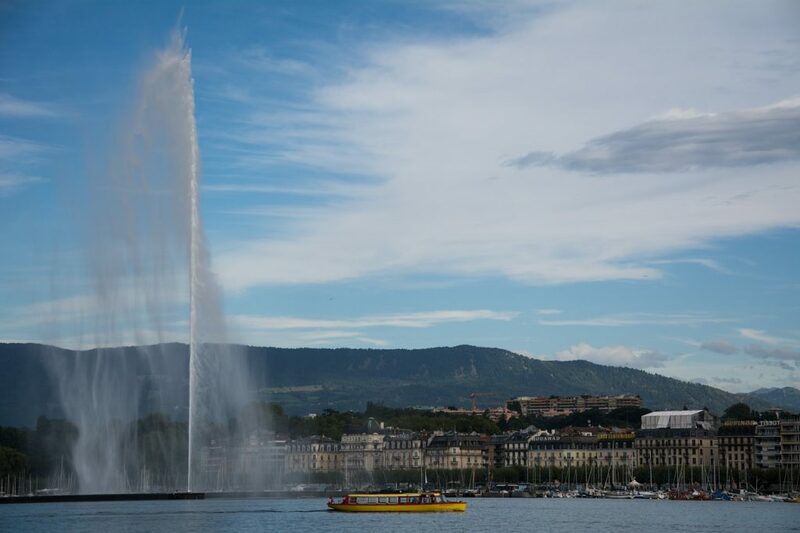 After your private jet charter flight arrives, you’ll find that like many a Swiss city, Geneva is a marvel of public transportation, providing frequent bus, train and boat service throughout the canton. Visitors staying in a Genevan hotel are now provided a daily travel pass of the local TPG (Transports Publics Genevois), providing an efficient option to navigating the city. Geneva is split into 5 districts, each offering something different for our private jet charter clientele: Old Town (vieille ville) and St. Gervais, Paquis, Plainpalais, Cologny and Eaux-Vives. Geneva’s Old Town is where private jet travelers will find the narrow streets of Geneva’s Old Town, home to more than 80 buildings and sites listed as Swiss Heritage Sites, and where many of these sites can be found – in fact, the entire Old City is included as of the Inventory of Swiss Heritage Sites, and some of the more ritzy hotels will be found around the district. St. Gervais is the city’s watchmaking hub, home to a variety of artisan watchmakers linking the city’s past and present together through its timeless industry. Paquis is one of the more “interesting” districts, if we can call it that. On one hand, you have Bains des Pâquis, a pristine beach near the the Jet d’eau that attracts tourists and sun-seekers year-round. Surrounded by promenades, it’s a social and cultural gathering point where you’ll find Turkish baths and floral gardens. Meander through the Paquis’ winding and ever-changing roads, and you might end up on the seedy Rue de Monthoux, home to the city’s red-light district. You’ll also find busy restaurants, cafes and hookah smoking co-eds in the area, if that’s what you’re in the market for. Plainpalais hosts events year-round, known throughout the canton for hosting the largest farmers market in all of Geneva and a variety of festival in the Plaine de Plainpalais, a large rhombus-shaped open space and gathering point. It’s also home to university students, young locals and expats, making it one of the more diverse districts. Thanks to its youthful crowd, nightlife is also popular in the area, and Rue de l’Ecole-de-Médecine is the place to go for a night on the town. 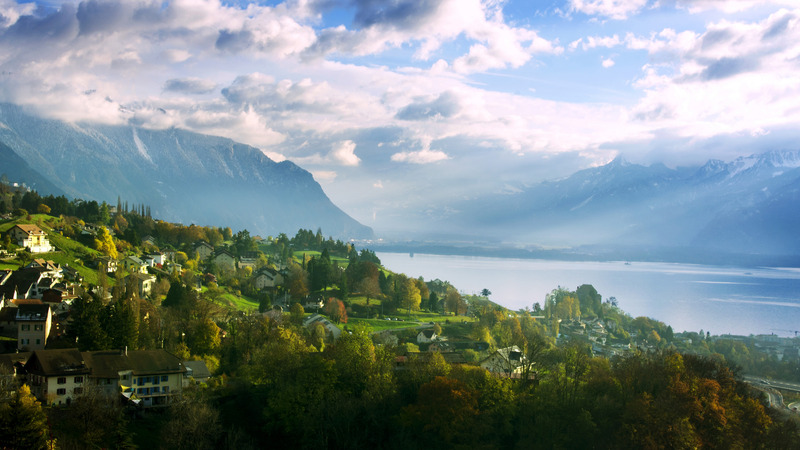 Cologny offers spectacular views of the lake and is famous for its exclusive neighborhoods. Many of the city’s most wealthy residents have lived here, and the eastern portion of the district is best known for Villa Diodati, a magnificent estate hosting authors such as Lord Byron, and it’s where Mary Shelley wrote her famous Frankenstein novel. Watersports lovers can head over to Cologny’s water skiing course, available at the Wake Sports Center. Located along the lake’s left bank, Eaux-Vives is just on the perimeter of the city center. A mix of older home and apartments, this residential district is home to a variety of restaurants, bars and cafes, and a 20 minute walk brings you to the city center along side the Jet d’eau. Air Charter Advisors is Wyvern Certified, and our safety standards and due diligence processes meet or exceed the same requirements set forth by Fortune 500 companies for their corporate fleets. We’ve worked with several personal assistants for both executives and governmental officials, and we’re very familiar with the demands of these flights. All of the private aircraft we use for charter flights are all operated by FAR Part 135 (or foreign equivalent) air carriers, and we work as hard as we can to provide competitive and fair quotes with every private jet and helicopter we offer. We take the privacy, safety, and comfort of all of our clients very seriously, and our team diligently reviews the details of the most recent Wyvern PASS reports for pilot safety, aircraft maintenance and operator history when arranging your private flight. You might not book with us the first time, but when you do, you’ll know you have a partner you can work with for every Swiss-bound flight you need in the future. Geneva is an important international hub within Europe both economically and diplomatically; the city is home to more international institutions than any other city in the world, and it ranked as the 9th most important financial center for competitiveness by the Global Financial Centres Index (the city is ranked 23rd overall for 2016). Geneva also holds the eighth-highest quality of life of any city in the world, and one of the highest for ex-pays living in Europe. 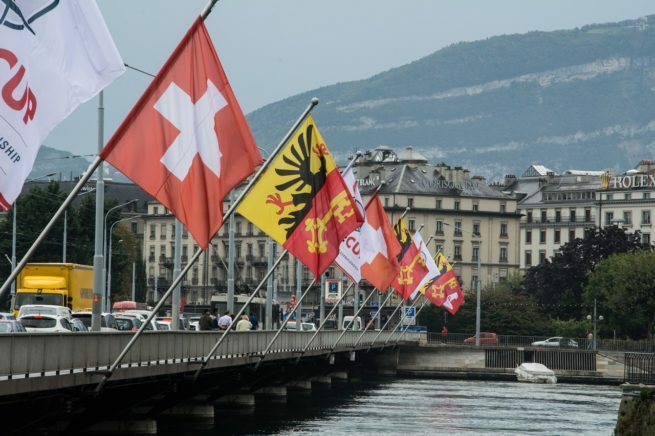 Although the city’s economy is mostly services oriented, Geneva has been an important finance sector for many decades, with specialization in private banking and financing of international trade (currently, the city manages assets worth around $1 trillion). Perhaps its most famous industry is found in its a long tradition of watchmaking, including brands such as Rolex, Omega, Charriol, Gallet, Jaeger-LeCoultre and Universal Genève; Swiss watch-maker Hublot is located just up the road in the town of Nyon. The European Organization for Nuclear Research, known as CERN, is based in Geneva and operates the Large Hadron Collider (LHC). 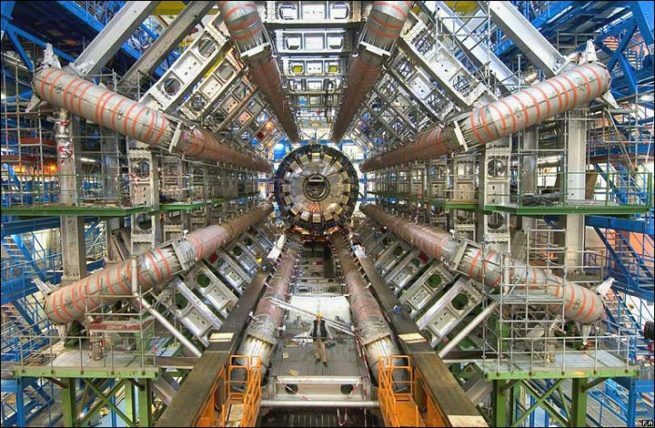 Located underneath the French-Swiss border, the LHC is the world’s largest particle collider, in addition to being the largest single machine on the planet. Attracting private flights to Geneva like clockwork every year, the Geneva Motor Show is one of the world’s most important and influential international auto shows, held annually at Palexpo (www.palexpo.ch/en), a giant convention center located alongside the (LSGG, GVA) Geneva Airport. Geneva is the center for many international organizations and global conferences, making it a popular destination for private charter flights for executives, board members, guest speakers and governmental officials. If you need to arrange a private flight, Geneva Jet Charter can arrange on-demand air charter flight in as little as 4 to 6 hours. Let our team be your personal assistant in private aviation; call or request a quote for your next private charter flight. Geneva is home to the Palace of Nations building, formerly the headquarters of the League of Nations of yore, and today serving as the European headquarters of the United Nations. Numerous agencies are headquartered here, most notably the United Nations High Commissioner for Refugees (UNHCR), the UN Office of the High Commissioner for Human Rights (OHCHR), the World Health Organization (WHO), the International Labour Organization (ILO), International Telecommunication Union (ITU), the International Baccalaureate Organization (IBO) and the World Intellectual Property Organization (WIPO). Aside from the United Nations, Geneva is home to an impressive roster of organizations, including the World Trade Organization (WTO), World Meteorological Organization (WMO), the World Economic Forum (WEF), theInternational Organization for Migration (IOM), the International Federation of Red Cross and Red Crescent Societies (IFRC) and the International Committee of the Red Cross (ICRC). If you’re in Geneva for a series of conferences, talk to your private air charter broker about arranging private helicopter charter service throughout the city and surrounding areas of Switzerland. Many of our private jet charter clients who have traveled to Geneva say you haven’t truly experienced a five-star hotel or resort until you’ve been to Switzerland, but we can tell you that you definitively haven’t paid for one like you will here. Switzerland is home to the most expensive average hotel rates in all of Europe, thanks in large part to the Royal Penthouse Suite at Hotel President Wilson – yours for price of $81,000 a night, this suite is the most expensive hotel suite in the world. The city has a reputation for a variety of prestigious and glamorous hotels, and the immaculate accommodations found throughout Switzerland’s international hub create the perfect compliment to your private flight. Given the fact that the city hosts a variety of international organization and conferences, jet charter clients will find an abundance of presidential suites and five-star hotels fit for a king. Some of the local hotels offer a posh, sophisticated setting while others provide impressive views of the city and its surrounding lake, but no matter where you decide to stay, impeccable service will be on the menu around the clock. The following list of hotel recommendations are based on Geneva Jet Charter passenger feedback, location, amenities, and online reviews. After your private jet arrives, we can arrange for ground transportation or helicopter charter to the resort of your choice. (GVA) Geneva International Airport is the main point of entry for private jets heading to the Canton of Geneva. Formerly known as Cointrin Airport, it is now officially referred to as Genève Aéroport. Since servicing its first flights in 1919, (GVA) Geneva Airport has continually expanded into one of the most important airports in all of Europe, and in 2001, the business jet terminal began hosting the annual EBACE exhibition, the most important business aviation conference in Europe. The (QNJ) Annemasse Aerodrome is a small airfield in France, located about 12 kilometers to the southeast of Geneva. The airport features a 4,265 foot runway making it ideal for small turbo props, and given the weather and time of year, select light jets can arrive here as well. Domestic flights with France and Switzerland can benefit from the reduce air traffic at Annemasse. Request a Quote or give us a call at 1-888-987-5387 to speak with one of our Geneva Private Jet Charter agents for your next luxury vacation, business trip, or special event.